Hola, friends! Hope you're doing well. Thursdays are my favorite day of the week...there's just something about the anticipation of the weekend that is exciting. I love it. "Calling all photogs in New York City, Chicago, L.A., Seattle, & San Francisco! Our trucks are roaming your streets, and we want to see. 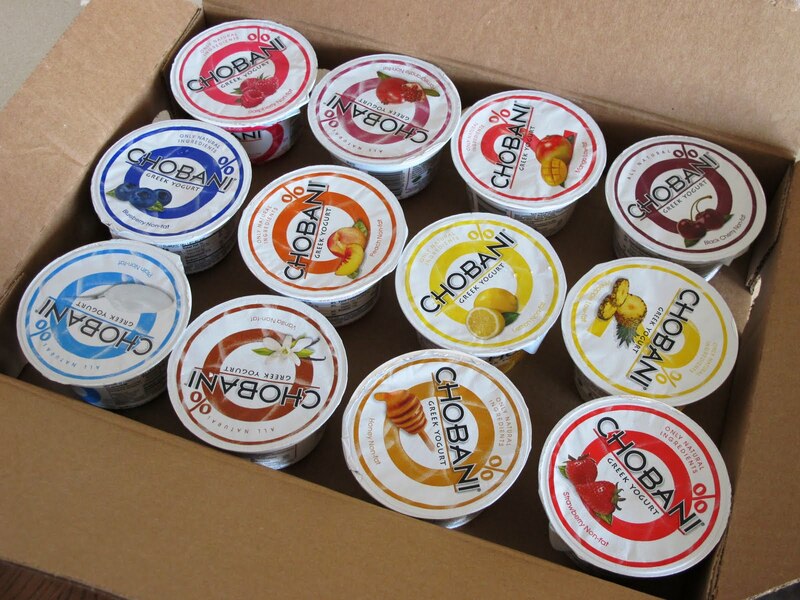 Snap a pic with your mobile phone, share it with us on Twitter at @Chobani, and we’ll send you your very own case of nothing but goodness. That’s it! It’s almost as simple as our ingredients." Say what?! Twelve free yogurts? I was beyond excited. I've said it once, and I'll say it again (and as always, my opinions are completely my own). 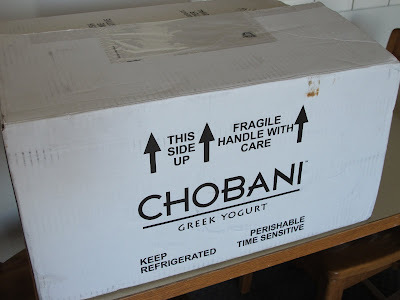 Chobani has mad social media skills. They're very engaging on Twitter and Facebook and have created a great following. I've been in contact with two of their employees, and they seem real. It feels like I'm communicating with a friend - not some big corporation that doesn't take the time to get to know their customers. Ya know? Are you impressed by a company's social media presence - which one? Have you ever won a contest via Facebook or Twitter?